Design focused programmer with an experience of over 5 years building mobile apps, games and web apps, with an experience of leading fellow programmers in successful project completions. Running a technology startup named Noob Games as a tech founder, and in the process of shutting it down. Looking for some challenging opportunities to work in a product based technology company. Can code, teach to code, learn new things and even lead a programming team. 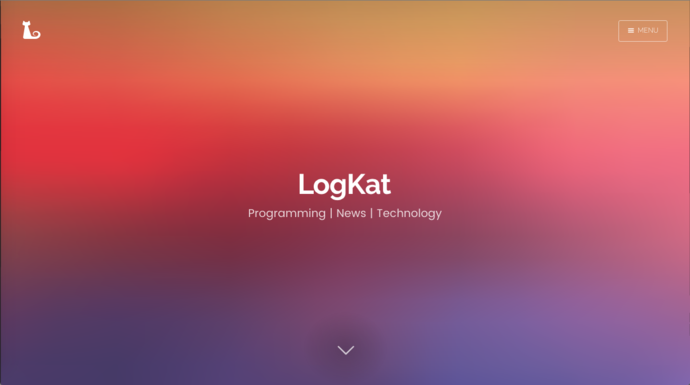 LogKat is created to promote new technologies, platforms and tools to developers who have just started to test the waters of the programming ocean. We are writing tutorials, articles, videos etc. for our followers to teach them these tech without spending anything at all. The LogKat project is created completely in Node.js, HandleBars and Ghost. Didn't hear about them? Check out LogKat to learn about them. Search an Area. Apply Filters. Gather Intelligence. With Seeker, users can gather all public posts from multiple social media sites in a specified area. Users have the flexibility to draw the area they are interested in on a map. Then they can filter by date, keyword, or social media network to make sure they see relevant posts. Gather data from multiple sources in one place to allow easy browsing. 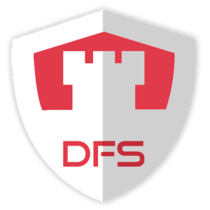 DFS Shredder is a data shredding application. Shredding is the only digitally possible method to permanently remove data from a device. Traditional data removing methods like deleting, formatting and flashing will not entirely remove the data from a device, instead they will just hide this data and make it inaccessible. But these hidden data can be accessed by anyone using data recovery softwares. Data recovery softwares are very cheap and available to anyone. Which makes the possibility of someone else accessing the data, that you already removed, even greater. 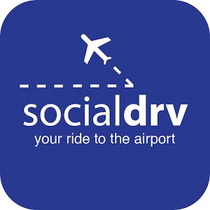 SocialDrv provides inexpensive, reliable, quick, and pleasant rides to or from any Bay Area airport! Book your ride in advance and know that a driver will be at your pick-up location at the exact time you specify! Feel the warmth of the Ujjain city with the Hello Ujjain app. It's one of the best way to tour Ujjain and keep updated about places to visit or hotels to store. LumberJack is a easy to use opensource Logging Android library. It supports logging to Logcat, File system and even to the user's own server. It very easy to use and even easier to customize. A complete File manager for Android with complete support of Storage Access Framework. Now you won't need to rely on Android's stock system UI to deliver files from the External SD Card. An Android library to access Camera Flash in all the versions of Android. It takes care of the permissions and can also work in different flavor of Android OS. Super Android is an all-in-one solution for all your urgent tools,utilities and settings. No need to search for the tool you need in you settings or in your app-list. Just put Super Android on your homepage and unleash the power of almighty Android, by just opening Super Android. Hammer, Inc. - We smash for you! Wanna Smash ? ? ? Hire us!! !An Elite team of bullheaded maniacs whose ultimate nemesis is 'Concrete'!!!! !.Enjoy the endless & frustratingly addictive concrete smashing experience, evade the deadly balconies, unlock different avatars, climb the leader - board by smashing more and more floors & we also award achievements for doing the wreckage. Shot is the app which applies filters at shot-time, better known as shot-time filtering(or real-time filtering). Gone are the days when you need to click a photo and then decide which filter to apply on it.Now using Shot app, you can see how it looks in your camera viewfinder itself.So you know how your pic will look like before actually clicking it.Isn't it amazing? Not just that, Shot comes with 40 + single filters, all of which can be applied to the same image over each other.It means you can create combination of cascading filters and apply over the same image, before saving it. Noob Games Pvt. Ltd. is a software development and training company. I cofounded it with Digvijay in mid 2014. The company started with developing games, mobile and web apps as a client and in-house projects. We have also trained many developers and placed them at many companies in Indore and other cities. Developing and testing the code of the project for industry standard quality. Developed 10+ mobile applications and web apps for clients from all over the world. Conducted seminars and workshops in most of the engineering colleges in Indore on topics such as Game Development, Cloud Computing, Mobile app development etc. Black Cobra Studios is the game-development unit of EC-Interactive India Pvt. Ltd. Black Cobra Studios was founded by video games industry veterans Sharad Chaturvedi, Rajesh GS and Rupert Young in late 2011 with the intention of becoming a leading player in the mobile arena. With over twenty years experience in designing, developing and managing projects the company has a full understanding of the developing games with regards to quality, timescales and finances. 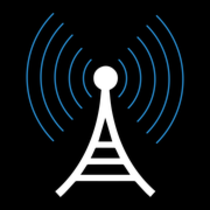 Black Cobra Studios is rapidly expanding it’s product range and is currently developing casual and social gaming products for mobile platforms such as iOS and Android. Developed Android and iOS apps for clients such as Ukash, PFS, Budapay etc. I started as a Mobile App Developer and later became a Mobile Game Developer instead. Now I mostly do web development and keen on learning everything I can. Abhishek is a hard working and dedicated programmer who has been integral to having our games released on time. An absolute pleasure to work with!